Deer meat – All fat trimmed off and cut into ¼“ thick strips, enough to be covered by the marinade in the bag. Mix all ingredients (excluding those for the sauce) and marinate overnight. Mix all ingredients for the sauce when you are ready to make the jerky. Lay jerky in the dehydrator. Set the temperature based on manufacturer recommendations. 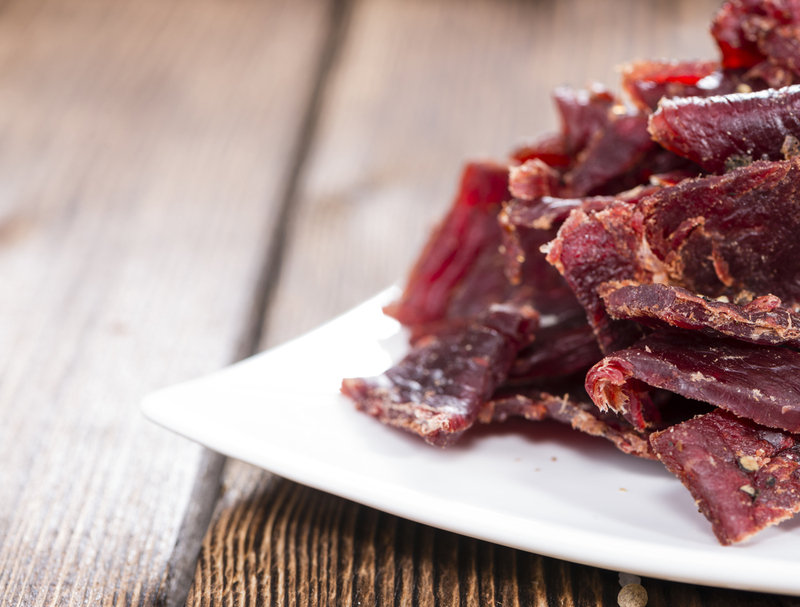 Allow the jerky to dehydrate for 3-4 hours. Brush on the sauce and allow it to dehydrate for another 1-2 hours. For even MORE AMAZING deer jerky recipes, check out the links below!